PLEASE REMEMBER THAT AT ANYTIME IF THE CITY AND COUNTY ARE ON A DELAYED START, CLOSING EARLY, OR CLOSED DUE TO THE WEATHER THE CREDIT UNION WILL FOLLOW THE SAME SCHEDULE. Reduce the chance of debit card fraud by registering for alerts. WITH REMOTE DEPOSIT IS HERE. IF YOU HAVE QUESTIONS PLEASE CALL THE CREDIT UNION 307-638-6476. 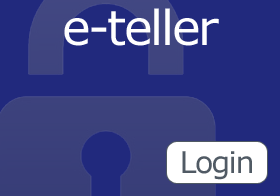 Must be signed up for e-teller to access. New guidelines for mobile deposit. Please note that the above rates are just base rates. Depending on applicant's individual credit history, these rates may be higher. The lowest rates quoted are with approved credit. If you receive a text message or phone call stating that your debit card has been deactivated, do not reply. This is a scam. The credit union will never send you a text message regarding your accounts or credit/debit cards and will never ask you to verify your account information via e-mail.